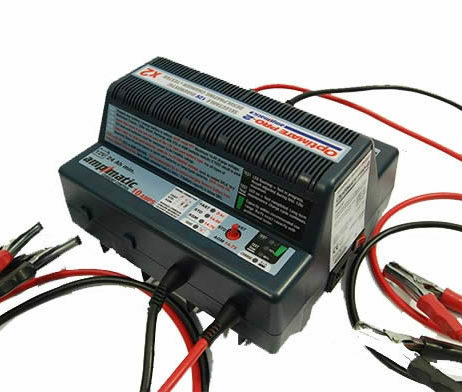 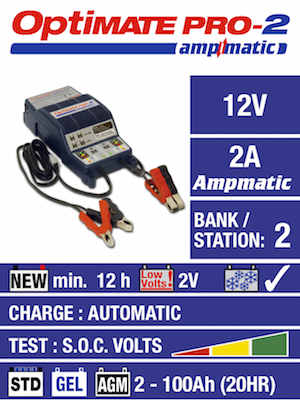 SKU: PRO2-10A Category: Workshop Battery Chargers Brands: Optimate. 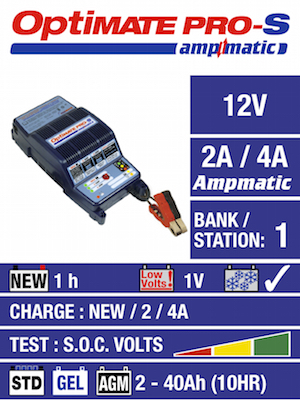 The new OptiMate PRO-2 x 10A handles up to 2 batteries at a time. 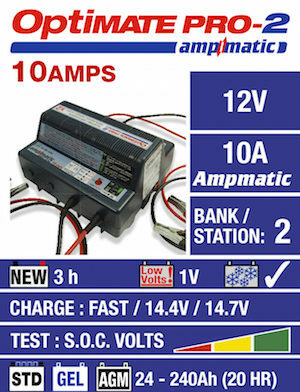 Our exclusive ampmatic microprocessor with version 2 programming, tests the battery before, during and after charging and charge current is automatically varied according to battery size and health. 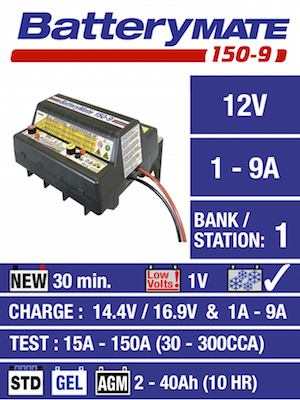 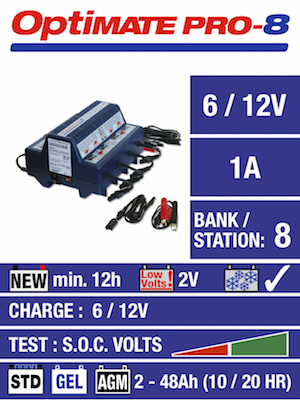 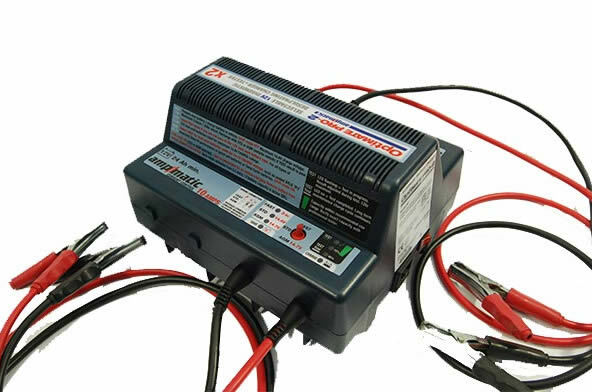 Choose the FAST (3hr) program to quickly recharge a battery on the vehicle or choose the 14,4V or 14,7V program to save, recharge and test batteries (min size: 24Ah) according to manufacturer specifications.